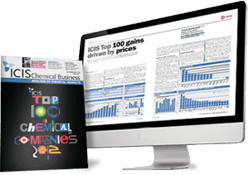 ICIS provides extensive coverage of the Styrene market. 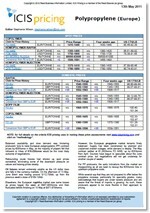 Weekly reports are published in Asia, China, Europe and the US. 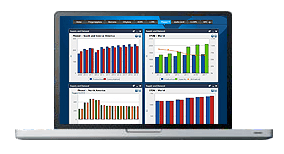 ICIS publishes monthly margin reports for Asia, Europe and the US as well as 12-month rolling series reports. The margin reports include short-term and long-term market analysis. Weekly reports cover contract and spot assessments over the week and at the close of business on Friday. Our locally based expert reporters use market intelligence to give commentary on deals, international trade, production news, supply and demand trends, as well as upstream and downstream developments. The up-to-date source of information is a reliable and vital tool in the decision-making process for your business. Styrene supply was initially ample in January from non-ADD sources like the Middle East and Europe, before the maintenance season. Starting February, volumes decreased significantly since the arbitrage for European exports closed as well. Northeast Asian supply was higher in January and February, but the volumes tapered down in March as producers were building up inventory before their scheduled maintenance. Southeast Asian volumes remained sufficient throughout, owing to mostly high operating rates and healthy production margins. Styrene availability from northeast Asia is likely to stay tight for both April and May because of scheduled maintenances. Arbitrage cargoes could stay limited as well for the early quarter because of the closed export window for Europe and US cargoes. However, tightness should start to ease from June following the completion of shutdowns all across the world. Production volumes from SM units not under maintenance will be high because of positive margins. Availability of styrene in Europe in Q1 was ample but not as long as it was in Q4 2018. A large amount of pre-buying ahead of the spring maintenance turnarounds increased demand and created a pull on supply, so too did an unplanned outage in Germany at the beginning of March which was as yet unresolved by the end of Q1 2019. Demand was healthy in the first quarter of 2019 as there was restocking taking place after the previous year-end destocking and there was also much pre-buying activity ahead of the busy plant maintenance period in the spring. Demand has been good but not so strong it has created any imbalance in the sector. Styrene supply in the US market was tight in the first quarter, as AmSty underwent a 45-day turnaround at its Louisiana plant which began at the end of January. Domestic demand started off the year on a soft note, which was not expected following slow demand in November and December. Customers appeared to be waiting to see real demand before starting to build inventory. We offer the following regional Styrene analysis and news coverage to keep you informed of factors and developments affecting prices in the Styrene marketplace. Over 25 years of reporting on key chemicals markets, including Styrene, has brought global recognition of our methodology as being unbiased, authoritative and rigorous in preserving our editorial integrity. Our global network of reporters in Houston, London, Singapore, Shanghai, Guangzhou, Mumbai, Perth and Moscow ensures unrivalled coverage of established and emerging markets. This document is intended to provide methodology support for customers receiving the ICIS Weekly Margin – Styrene Asia report. Pure styrene is a colourless to yellow, oily liquid that evaporates easily and has a sweet smell. Styrene is highly flammable, forms explosive mixtures in air, is dangerous when exposed to flame, heat or oxidants and on decomposition, emits acrid fumes. Styrene is mainly used in the manufacture of homopolymers and copolymers. These include polystyrene (PS), expandable polystyrene (EPS), styrene copolymers (such as acrylonitrile-butadiene-styrene (ABS) resins, styrene-acrylonitrile (SAN) and styrene-butadiene latexes), styrene-butadiene rubber (SBR) and unsaturated polyester resins. Styrene is produced predominately by ethylbenzene (EB)-based technology. EB is first made by the catalytic alkylation of benzene with ethylene and then dehydrogenated to styrene. The coproduction of styrene with propylene oxide (PO) by the PO/SM process had been gaining popularity. How can we best navigate the volatile butadiene industry despite forecasting difficulties, price unpredictability and numerous other factors when caution seems to be dominating theme for 2019? With a significant slowdown in Asia caused mainly by tensions between China and the US, as well as overall drop in SBR and ABS demand, what will this mean for the European market going forward along with its position within the global market? Join us at the 8th ICIS European Butadiene & Derivatives Conference (11 – 12 September, Vienna, Austria) to ensure that you get the most relevant information, including regional updates, a new focus on rubber recycling as well as supply and demand trends from industry leaders plus ample networking time during this turbulent time.